This is a bold claim from Gartner, a respected information technology research company. Cloud IIoT Security is becoming a major concern in the manufacturing industry. Shop Floor Automations is a big proponent of Cloud tech, especially in terms of the Industrial Internet of Things, or the IIoT. One of our hottest sellers is DataXchange from Scytec, with its $45 per month per machine pricing policy for Cloud-based services. We also realize that secure drip-feeding is a concern of note, as well, in the manufacturing community. Cloud tech is more reliable than you previously thought. 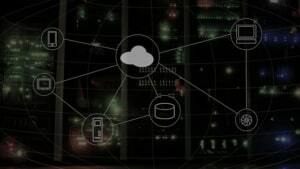 A publication called Enterprise Tech states that Global IT spending should increase close to 3 percent in 2017 – the projected $3.46 Trillion spent this year on worldwide IT is in part due to the Cloud infrastructure being so significant, as time goes by. In keeping with this fact, Cloud-based machine monitoring has helped many of our customers. One such manufacturer has even been able to run their existing five-axis CNC machines for 24 hours at a time at increased productivity, rather than feeling the need to invest in more machines to achieve their production goals. That definitely speaks to the trust of this Cloud-based program! Secure DNC makes DNC software communications safer. This is a Windows application designed to be installed on Windows-based CNC machines, CMMs, test stands, and other equipment. This application from Predator DNC supports a wireless or wired Ethernet interface via TCP/IP. It not only supports older versions of Windows, which reduces the need for costly Windows updates on CNC machines, but it is also a good measure against unauthorized access via hackers. Read more about Secure DNC here. Ready to get started? Contact Shop Floor Automations for better, and safer, OEE through IIoT. Call (877) 611-5825 or contact us on social media!